Hours after an investor exodus caused shares in Russian coal producer and steelmaker Mechel to plummet 19 percent in Moscow, Economic Development Minister Alexei Ulyukayev suggested that a state-sponsored plan to save the debt-laden company was still in the works. Ulyukayev told journalists Thursday that the government is in talks with state banks on providing 180 billion rubles ($5.21 billion) as part of a restructuring package for loss-making Mechel, which is tottering under nearly $8.6 billion of debt and has suffered repeated traumas on the stock market over the past year. The scheme would involve issuing bonds convertible into shares, which could be purchased by state development bank Vneshekonombank, or VEB, Ulyukayev said. "The main thing being discussed is a bridge loan and then, the transfer of rights to demand collateral to VEB. It is possible that these rights will come through concrete convertible bonds," Ulyukayev said. Banking sources familiar with the matter said Russia's three largest state banks, Sberbank, VTB and Gazprombank, could provide Mechel with a 35 billion ruble ($1 billion) bridge loan ahead of the bond issue. This move would allow Mechel to pay off its debt to the three banks, said Ulyukayev, a member of VEB's board of directors, settling a reported dispute between the company and its creditors. Mechel, as well as all the banks, declined to comment. Recent media reports have suggested that Mechel's creditors — as of April 10, Mechel owed $2.3 billion to Gazprombank, $1.8 billion to VTB and $1.3 billion to Sberbank — were angling to dethrone Mechel's board chairman and main shareholder, Igor Zyuzin, and appoint a manager able to place the company back on its feet. Zyuzin, rated by Forbes as Russia's 194th richest person with a fortune of $450 million, has led Mechel for two decades. He was at the wheel when the company scooped up assets in the mid-2000s. When the 2008 crisis hit, Mechel was forced to borrow heavily, creating difficulties for the company — in March and November, Mechel's share price tumbled 40 percent, and at the end of last year the company negotiated debt restructuring with its biggest creditors. 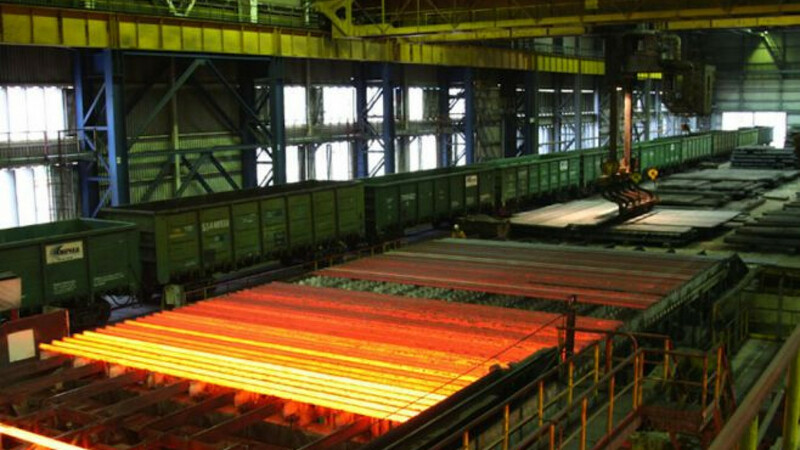 A meeting between Mechel's creditors and officials chaired by Deputy Prime Minister Igor Shuvalov on Wednesday revealed jitters about the wisdom of a debt relief plan, Vedomosti reported on Thursday, citing sources present during the discussion. The 180 billion ruble plan under consideration would see the banks loan the funds to VEB, which would then buy Mechel's convertible bonds. But while the trio of state banks would receive a reliable borrower in VEB, Vedomosti said the development bank itself was anxious that it had no guarantee of gaining a solid asset. Last year, Mechel, which beyond Russia has operations in Turkey, Europe and the U.S., reported earnings before interest, taxes, depreciation, and amortization, or EBITDA, of $730 million, down 50 percent from 2012, and an operating loss of $529 million, 25 percent more than the previous year. Steel and coal are still trading well below their 2011 post-crisis peak, there is no consensus that prices will jump in the near future, and the Russian economy is stuck in the middle of a slowdown. If agreed, the package could relieve the pressure on Zyuzin, Vedomosti reported. The paper cited one banker present at Wednesday's meeting saying that Mechel's creditors set upon removing Zyuzin from management and bumping his stake in the company down from 67.4 percent to about 10 percent, but added that other voices spoke in support of his continuing to lead the company. Zyuzin and his companies have pledged 42 percent of Mechel's shares as collateral for loans, according to the company's filings. With the status of the bailout unclear, Mechel shares dived 19 percent as the markets opened in Moscow, before pulling back during the day. At 8 p.m. Mechel's shares were down 5 percent on the day at 51 rubles. Material from Reuters was included in this report.